We did some work for a local dealer recently, on a Wildtrack Ford Ranger 3.2. Although a nice displacement in engine size, could still do with a little bit more BHP and LB Ft, to help towing. We didn’t have to look to far for any ECU faults, non present. In standard tune these produce 197bhp and 347lb ft.
A nice significant increase for extra towing ability. However watch this space as we nice tuning package coming along for this set up, including a free flowing exhaust, intercooler and air filter upgrade. 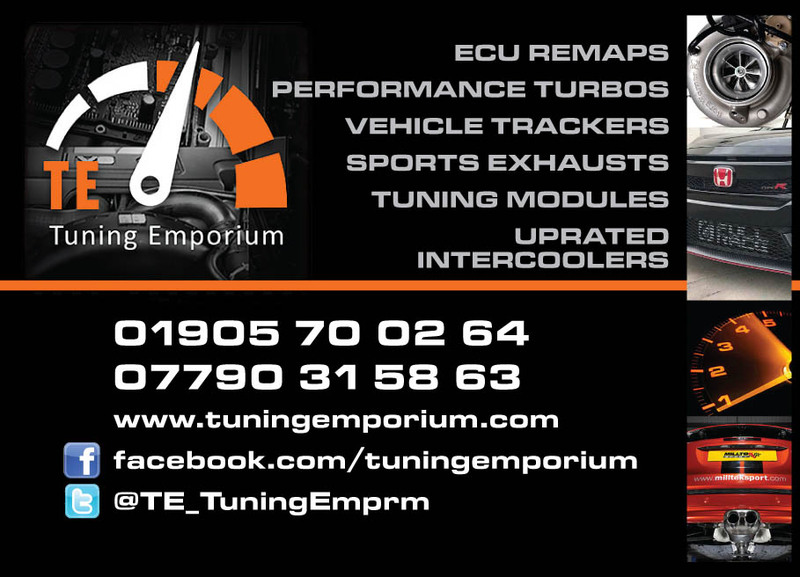 Tuning Emporium your one stop shop for tuning requirements. Full up to date professional Tuning Equipment and diagnostic software. Contact us for more details to see how Tuning Emporium can improve your vehicles performance. If there’s one brand of manufacturers that has BIG tuning potential, its VW. They’re engines and ECU’s are the best to communicate with, the last VW that came to us was this lovely, Golf GTD 180bhp estate, in manual gearbox form. In standard tune, it should produce, 180bhp and 280lb ft.
Once tuned by us, it should produce, 220bhp and 332lb ft. This customer was wanting a little bit more pulling power and MPG. With the increase in torque, this should help the MPG, currently at 58mpg. Dyno to follow, for proof of figures. A full health check is carried out on vehicle prior to tuning taking place. We can prove results with before and after figures on dyno. We continuously invest in up to date professional equipment. From cars tuned for road or track applications to light commercials, trucks, agricultural & even marine engines we can provide a solution to meet your needs. By careful recalibration of the engine management system we can increase drivability with no detriment to reliability. We are more than just your average chiptuning company as we develop our software in-house whilst at the same time working with some of the best tuning houses from across Europe we have ultimate flexibility in both the range of vehicles that we tune and to be able to provide the customer with the very best solution for their needs. Tuning Emporium had this cracking VW Transporter in for a custom remap recently. A bi Turbo 2.0 Tdi engine In stock tune it produced 210bhp and 360lb ft. wherever possible we always encourage customers to have their vehicles dyno’d to prove before and after figures. Tuning Emporium never try to mislead or over estimate power gains, thats the reason for a dyno. And sometimes vehicles are not producing figures from the manufacturers. In this instance the VW was producing slightly more than standard, 210bhp book says 204bhp. With our bespoke tune still with original filter and DPF in place, its now an amazing 276bhp and 434lb ft.
We offer tuning upgrades on most of the VW range, Polo, Golf, Passat, T Roc, Tiguan, Touareg to name a few. All our maps are still MOT compliant, and we always keep your original map, should it ever need putting back to standard for dealer visits. We are more than just your average chiptuning company as we develop our software in-house. Contact us for more details on your tuning requirements. A great example of a Volkswagen Golf Mark Five R32, visited us recently for a power upgrade. We don’t mind tuning noramlly aspirated engines, so long as there’s decent power to weight ratio, or there’s substantial bhp gains to be had. Mark 5 Golf’s as a range have great tuning potenital, and the R32 sometimes gets overlooked as it hasn’t got a turbo bolted to the side of it. Fear not there are options out there. Firstly a bespoke fitting of an induction kit, from Forge Motorsport. This will aid the breathing of this beast, and makes a nice noise too. Secondly is a stainless steel exhaust system from Milltek, helping to get the gases out quicker. Before fitting any exhaust system, always best to lay them out to the floor to ensure the bends are in the right place, and all parts present before offering it up to the vehicle. Next to these parts our professional tuning upgrade, and this is now a complete V6 pocket rocket. For more information on your tuning or remapping requirements please contact us for more information. We have got many approved agents for us throughout the UK and the world. However we have received some emails from public, claiming some companies are using our company name. If in doubt please contact us first for confirmation. If you’re in the motor trade and have a passion for tuning cars, you might be interested in becoming an approved agent for us. Using state of the art professional tuning hardware and software, we can cater for most tuning requirements, Cars, vans, LGV’s, HGV’S, 4×4’s and bikes. We never over state BHP and torque claims, for instance if we think a vehicle is not worth tuning, we will tell you, rather than just charge you a remap fee. We offer a bit more than just file maps, we can pass on our decade of experience in the car tuning world. One of the last cars we tuned in 2018, but has to be one of the best we have ever done. The three litre engine, is a well proven unit through out the VAG range, including The Porsche Cayenne, Audi Q7, Q5, A4, A5, A6, A7 and A8, VW Touarag, to name a few. VW Amarok ECU tuning at Tuning Emporium, 320bhp and 503lb ft with remap, from 224bhp and 401lb ft. In standard tune in the VW it produces a respectable 224bhp and 401 lb ft.
As the norm a full ecu health check is carried before any tune. As we expected no faults, we proceeded to unleash a few more brake horse power. As this unit is a de tuned engined from the Audi Q7, gains are massive. Dyno runds have seen these at 320bhp and 503 lb ft.
Thats plus 106bhp and 102lb ft gain, or nearly a 50% bhp gain and a 25% increase in torque. Needelss to say the test drive went very well, and pulled like a dream, also sorting out the gearbox changes in the process. For more information on VW Amarok tuning or any other vehicle tuning please contact us fore more details. Another favourite engine to tune, is these Audi S3’s, we can tune all years of the Audi S3, from the 210bhp 1.8t from the late 90’s right through to the current 2.0 TFSI 300bhp 2018MY. These Audi 8P engines are very tuneable, starting at 265bhp and 350nm, with correct supporting modifications, Tuning Emporium can extract over 400bhp. In this particular vehicle we stuck with a safe stage 1 remap, along with a Ramair Air filter upgrade. Audi S3 remapping at Tuning Emporium, with Ramair Air Filter upgrade. All our maps have a lifetime guarantee on them. Had this 2015 2.2 MY high side Ford Transit in for a recent tune up. It had just come out of warranty and had been very well serviced. After checking for any faults, we put it on the dyno to see what was going on. It produced 115bhp (despite been a 125bhp model) and 226lb ft.
We then set about increasing the power to safe limit, bearing in mind that these are in a restricted tune from the factory. We gradually increased the power to 175bhp, 184bhp then settled on 192bhp and 350 lbft, seriously transforming how this van drives. koTuning Emporium had this lovely Skoda Octavia VRS in for a tune up recently, this is quite restricted from the factory, so gains on this engine, are quite huge. This is for our stage 1 map, so plently of potential still to come if required. With correct supporting modifications, these engines can be tuned to produce 440bhp, so this stage 1 map is still well within engine and drivetrain tollorances. 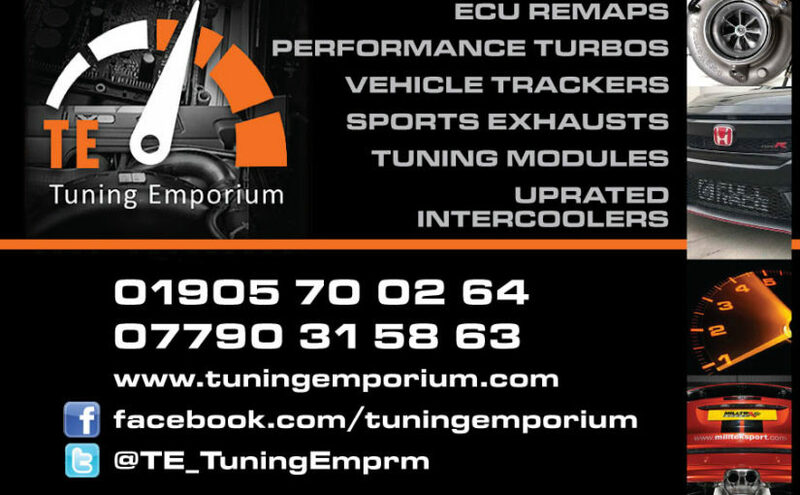 For more information on how Tuning Emporium can increaseyour vehicles performance and economy please get in touch.